Today I'm sharing my thoughts on two books I recently read, both suspense novels from very talented authors who seamlessly blend past and present story lines to deliver first-rate reads. In my opinion, they offer a perfect antidote for the winter blues, and I highly recommend them. 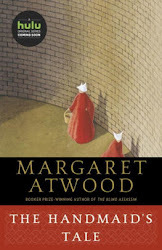 Thursday Thoughts: Recent Reads was originally published by Catherine for bookclublibrarian.com. This post cannot be republished without attribution.